Detail show something more interesting. The four stars above show that the stork is the insigna of a unit headed in the past by the General who, as Armée de l'Air Chief of Staff, flew the single-seat fighter prototype to have an idea of the future material to be introduced. 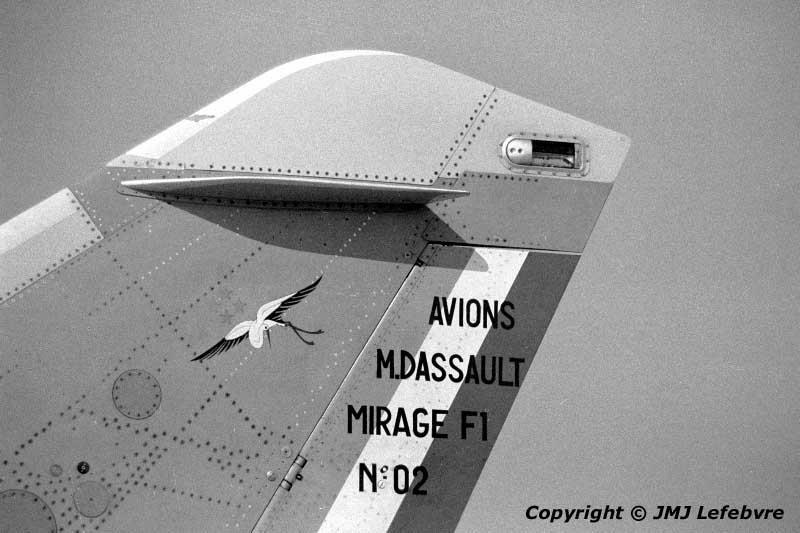 May be the marking of General Gauthier who flew it on April 31, 1970, just a few weeks after this prototype having been reequiped with the latest ATAR 9K-50 with which first flight had been done on February 21 with Jean-Marie Saget at controls, the future Dassault Chief Test Pilot.